If you are interested in learning more about the Catholic Church, you are invited to meet in the Good Shepherd Faith Formation Center with a group of people like yourself who are inquiring about the Catholic faith. Many of your questions will be answered, and you will feel very much at home. This is the normal process that adults participate in to become full, participating and active members of the Catholic Church. 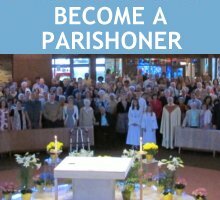 Lots of people today are searching for ways to meet their spiritual needs and become affiliated with a parish family. This is the way we accomplish that at Good Shepherd. 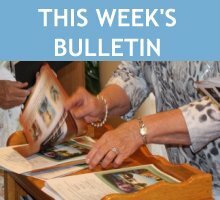 With a team of parishioners, those who are inquiring about the faith join in discussions and presentations designed to familiarize them with various aspects of the Catholic faith. Usually beginning in the Fall, the program extends to the Spring, with the celebration of the Easter sacraments. The RCIA process has several distinct stages. These Catholic RCIA stages are a good model of faith development itself, so this information will fit you whether or not you’re actually in the RCIA process. 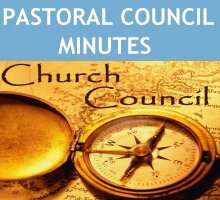 Inquiry: the initial period before you decide to enter the Catholic Church. You’re asking questions and checking it out, but aren’t yet ready to commit. Catechumenate: those who decide to enter the Church and are being trained for a life in Christ are called catechumens, an ancient name from the early Church. In this stage, you’re developing your faith and are being “catechized” – learning catechism, or the basic points about Catholic faith and life. Purification and preparation: The Church will help you focus and intensify your faith as you prepare you to commit your life to Christ and be received into the Church at Easter. If you’re following the RCIA process, you’ll go through a beautiful series of Gospel-based meditations during Lent, which is the time frame of this period. Mystagogy: after reception into the Church at Easter, this period lets you reflect and learn more about the mysteries of the Mass and the Sacraments that you now participate in fully. WHAT IF I AM NOT BAPTIZED NON CATHOLIC? 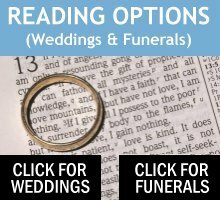 Persons wishing to come into the Church from other Christian faith traditions do not need to be baptized again but will need to go through First Eucharist and the Confirmation process. 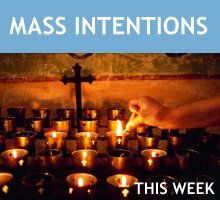 Classes begin in the Fall and conclude during Holy Week. Individuals wishing to join the Catholic Church are baptized (if Necessary) and welcomed into the Church on the Easter Vigil. EUCHARISTIC ADORATION: Every First Friday from 9:00 AM until noon. ROSARY: During October and May, before the 9:00AM Sunday Mass. STATIONS OF THE CROSS: During Lent, Friday evenings at 7:00 PM. BAPTISM: Baptisms are scheduled by appointment, six (6) weeks in advance and take place during the weekend Masses or Sunday afternoons. Pre-Baptism sessions are required. During Lent and Advent, Baptisms usually are not scheduled. 5:15 – 5:45 PM or anytime by appointment. MATRIMONY: By appointment at least six months in advance. ANOINTING OF THE SICK: We want to celebrate this sacrament whenever anyone is in need due to illness, the infirmity that comes with age or any other time it is desired. Please call the Pastor at the rectory number, extension 11. Communal celebrations of this sacrament are scheduled several times throughout the year at a weekend Mass. HOLY ORDERS: Some men fulfill a call to holiness by serving as priests or permanent deacons. Men who feel that call should call the pastor. 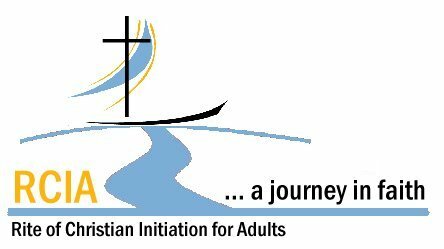 RCIA: The Rite of Christian Initiation of Adults is a process the Church offers to those who have not been Baptized, or Confirmed or admitted to First Communion as children in Religious Education. It is also the path to Full Communion in the Catholic Church for those Baptized in another faith. Please call the Religious Education office or the Pastor. 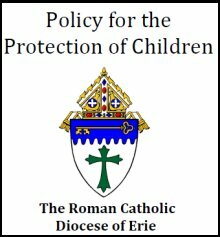 RELIGIOUS EDUCATION: For grade and high school students is conducted during the school year for grades 1-11 on Sunday from 10:00 AM until 11:20 AM in the Faith Formation Building. Call the Religious Education office for more information.